9 Money-Saving Tips From TLC's "Extreme Cheapskates" - Savvy or Risky? 9 Money-Saving Tips From TLC’s “Extreme Cheapskates” – Savvy or Risky? If you’ve never seen an episode of TLC’s “Extreme Cheapskates,” here’s a quick rundown: Each episode features two self-described “cheapskates” who demonstrate their cheap ways throughout the episode. 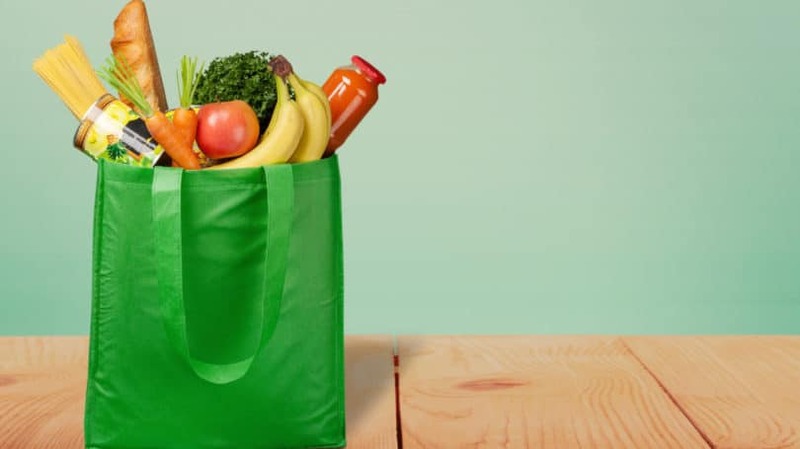 From dumpster diving, to foraging for vegetables, it seems like there’s no money-saving method too extreme for these beacons of money-saving savvy. While it’s true that some of the methods shown in “Extreme Cheapskates” actually can work, other behaviors can be seriously dangerous. And while they may work for individuals whose lives are dedicated to the pursuit of saving money, many of the methods don’t translate well into real life – and some could actually be dangerous to your health. One of the most controversial activities depicted on the show is dumpster diving. In one episode, Kate, a New Yorker, suits up in old clothes – which she says make people “feel sorry” for her – and begins opening garbage bags and pawing through the trash at popular eateries. She finds prepackaged meals, meats, and fruits, which she then takes home to serve as dinner to unknowing friends. She waits until they’ve had their first bites to surprise them with the fact that she took their food out of the garbage. One promptly throws up. Unfortunately, while Kate thought she was getting a free meal, food taken from the garbage can grow bacteria or become unsafe from heat or contamination after coming in contact with other foods in the same bag. The store or eatery that threw out the food probably had a good reason to do so. Eating food out of the garbage can make you seriously sick. Many cheapskates proudly proclaim that their furniture is secondhand or even rescued from the garbage. One episode features a family man who keeps his TV on the ground and only offers a folding chair and card table in his living room. The kicker? He has more than $60,000 in the bank. Another cheapskate outfits an entire apartment with secondhand furniture from friends, garage sales, and even the trash. 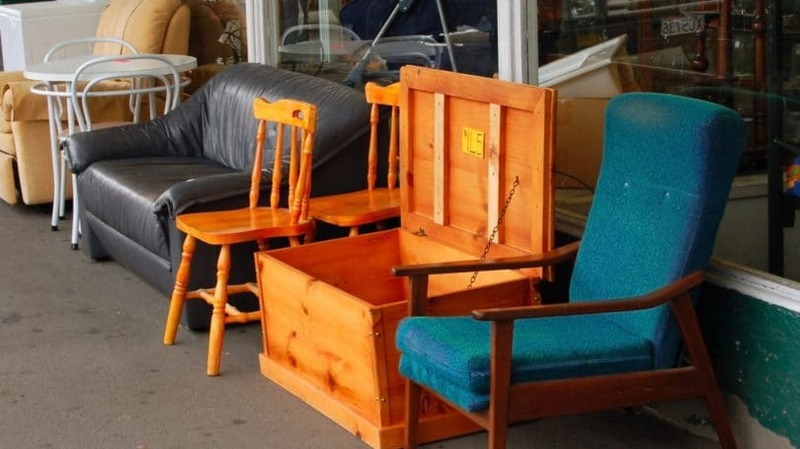 While you might not be so extreme, using furniture discarded by friends and family or acquiring it through thrift stores or garage sales makes good financial sense. As long as it’s properly sanitized, acquiring secondhand furniture is a great way to save money. If you really want, you can always upgrade to new pieces once you’re out of debt or have reached other financial goals. In one episode of the show, a man named Abdul proclaims he will never buy something without first haggling over the price. And he doesn’t just mean in flea markets or garage sales, either. He haggles over apples in the grocery store, the price of a shirt in the mall, and even movie theater tickets. According to his own experiences, he usually ends up paying less simply because he applies pressure until the store owner or cashier gives in. When it comes to bartering, your results may vary. Bartering for something secondhand and at garage sales and farmers’ market is expected, but trying to get a better deal on a pair of shoes at the department store might raise a few eyebrows. It’s up to you to decide how far you take it – just be prepared to deal with the stigma of haggling, especially if it’s somewhere that bartering isn’t typically welcome. If you’re interested in getting a better price, but aren’t well-versed in the art of haggling, ask the seller about available discounts. It’s a good way to know what lower prices are available without feeling too brash. You might just find that you qualify for a discount or that the vendor is willing to give you one anyway. I’ve seen several episodes where the money-saving behavior of choice is foraging, an activity by which greens are gathered from public areas. Some of the cheapskates commend the method as a great way to make salads for free, especially since the greens are often maintained by public bodies, such as local departments of parks and recreation. Unfortunately, if you’re not well-versed in edible plants, foraging for food in the local park could make you sick. Not all types of grasses and leaves are edible, and some are poisonous. Therefore, you have to be extremely confident about your plant knowledge to do it safely. And even if you do gather edible, healthy plants, you’re still taking the chance of bacteria from dog urine and feces, along with foot traffic, and even poisonous pesticides. A better bet? Learn to grow your own home vegetable garden. One young family featured on an episode of the show is all about saving money via reusable items. They even go as far to create reusable toilet paper out of old fabric, which is deposited in a bucket after being used and then laundered. Another cheapskate reuses paper towels, hanging them on a clothes hanger in the kitchen when he is finished with them. Smart? Definitely. While you may not want to go as far as reusable toilet paper, utilizing items to be used again and again helps your bank account and the environment. In fact, if the second cheapskate wanted to improve his money-saving ways, he’d opt for fabric dish towels instead of paper products, which eventually need to be thrown out when they begin to disintegrate. Otherwise, using things such as washable plastic containers instead of one-use plastic bags for food storage, or choosing reusable fabric softener balls over dryer sheets can help you save money without sacrificing any of your creature comforts. One of the first episodes of “Extreme Cheapskates” I ever watched shows a man so dedicated to saving money that he heads to the butcher with a couple of dollars in his pocket – and returns home with a sheep’s head to eat. As he enthusiastically digs into the head and eyes, his wife looks on, feeling sick. Another cheapskate named Vickie proudly takes her entire family out to scavenge roadkill, which she removes from highways and brings home to feed her family. The first example isn’t too bad. While choosing unusual cuts of meat and remnants from the butcher can save you money, you need to choose cuts and varieties that your family will actually eat. Chuck roast and pork belly are two examples of cheaper cuts of meat that can be used in a variety of recipes. But grabbing meat off of the side of the road can get you in trouble. For one, state laws regarding the eating of roadkill vary, so you have to first make sure it is legal. However, even if it is legal, there are a number of food safety issues that could make you very sick. Because you’re not hunting and killing the animal yourself, you won’t know why it died or how long it has been dead. Bacterial growth and food-borne illness alone should be enough of a warning to discourage you from ever eating food you find dead. A man in one episode wants to go on vacation, but doesn’t want to spend a ton of money. Instead of booking a pricey hotel, he calls a friend who lives in the area he wishes to visit and asks if there is a spare couch he can sleep on. As long as you have friends and relatives who are okay with it, “couch surfing” or staying in private homes instead of hotels actually makes sense. It can save you serious cash so you have more money to spend on vacation activities. Let your host know exactly how long you’ll be staying. Open-ended stays aren’t appreciated. Ask your host for guidelines when you arrive. When do most residents go to bed, and when are meals? Offer to help out around the house. Volunteering for yard work or cooking a meal can go a long way in being a good guest. Be as accommodating to your host as possible, remembering that he or she is allowing you to stay for free. Leave your space better than you found it. Offer a small gift or card as a thank you to your host. Avoid using the same host again and again – they could feel used. Instead, look for other options if you plan on visiting the area again. It sounds pretty innocuous – flush the toilet less to save money. But extreme cheapskates may take this principle too far. A millionaire named Victoria featured on “Extreme Cheapskates” is so dedicated to saving money on water that she prefers to actually urinate in a jar and carry it out to her garden, rather than use the toilet. Victoria claims the practice saves her $10 a month and gives her a beautiful garden, as urine can actually be a decent addition to a compost heap. Urine is medically sterile, but there’s an obvious “ick” factor associated with carrying a jar of urine through your home. Rather than avoiding using her toilet at all, Victoria could place a brick in her toilet’s tank, since the water displacement causes less water to be used per flush. Another way to save money is to only flush when there are solids, rather than just liquid. It’s up to you how far to go, but you don’t need to skip the toilet altogether. Still, Victoria isn’t completely off-base, since she saves money and is able to fertilize her garden too. While watching “Extreme Cheapskates” one night, I witnessed a mom who shops at a grocery store that sells only expired foods. Selling only foods that are past the date printed on the jar or can means that this particular store can sell goods at a steep discount, passing those savings onto discerning cheapskates looking to save some money on their grocery bill. But aren’t foods bad past their expiration date? It depends. The expiration date is actually voluntary information, since the only products required by the FDA to give an expiration date are baby food and formula. Therefore, the dates printed on your boxes, cans, and jars aren’t set-in-stone dates on which the food magically goes from good to bad. Instead, they represent the date before which the food should be consumed for best taste or freshness. In fact, many foods are good past their expiration date. Milk is usually fine up to three days past the “sell by” date, and eggs are safe to use for up to three to five weeks after you bring them home. Most canned goods can keep for up to 18 months in a cool, dry place, according to WebMD. But bulging cans or foods with obvious signs of mold should be discarded. Shopping at stores that sell expired goods, or nabbing products on the cheap close to their expiration date or as part of a case lot sale is fine as long as you exercise common sense. Look, smell, and touch the food to make sure it’s okay before consuming. There is one respect in which I admire the cheapskates, even if I don’t want to emulate their tactics: The fact that they unabashedly save money is something to aspire to. Too often we spend money just because it’s expected or because saving money can be embarrassing. If there’s anything to take away from TLC’s “Extreme Cheapskates,” it’s the fact that saving money and living frugally shouldn’t be embarrassing, but worth talking about. Whether you dumpster dive for food (which I don’t recommend) or you’re saving money by simply eating out less, living within your means now could mean more wealth later on. 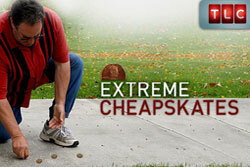 Have you ever seen “Extreme Cheapskates?” What do you think about the tactics they use?